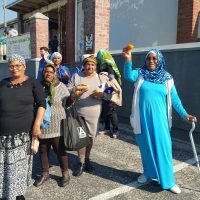 It was an early start to an extraordinary day for one hundred senior citizens, dressed in their best, from Heideveld, Netreg, Woodstock, Eersteriver and Lavender Hill as they made their way to Muizenberg. A programme arranged by Rail Tourism, Metrorail Area South and MID. “I’ve not seen the ocean in 23 years!” recounted one of the senior’s as they sat on the Muizenberg / St. James catwalk. Enjoying the picturesque view while eating a healthy sandwich and fruit. Further down, the beaming joy of childlike wonder as an elderly lady rolled up her pants and kicked off her shoes. Slowly making her way down to the beach. “Will the board carry my weight? Really?” This, the response from a senior after hearing about the adaptive surfing programme. 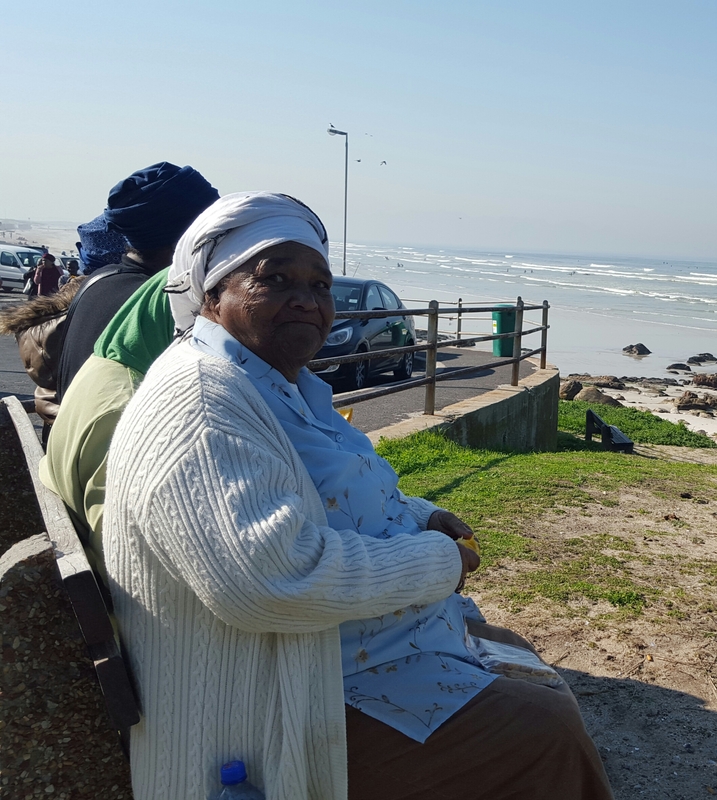 Muizenberg, the final destination for the seniors who started their day in Cape Town where they were treated to breakfast, informative talks and skills share such as knitting and crocheting. Each departed Muizenberg with a new zest in their step, some eager to try surfing when they next visit the area! A Mandela Day experience made possible through partnerships and sponsorship. Let’s not take for granted the opportunity and fulfilment that Muizenberg, as a destination and a caring community, has to offer those who seldom, if ever, get to experience the joy of the free recreational spaces such as the ocean, the catwalk and parks have to offer.